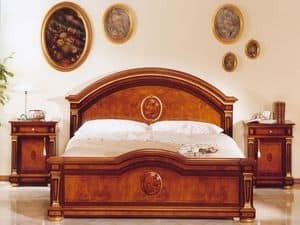 In the small town of Figino Serenza, in the historical Italian furniture district called Brianza, qualified artisans daily manufacture, service, distribute, and sell exclusive furniture pieces that are veritable works of art to selected retailers throughout the world. 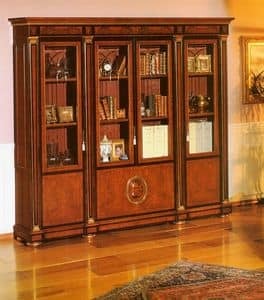 The finished pieces, whether beautifully inlaid tables or meticulously carved cupboards, travel the world over to rest in the most elegant hotels and luxurious palaces of Europe, U.S.A., Russia and Asia. 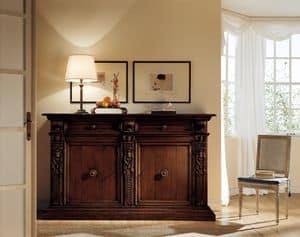 The fine Italian craftsmen are part of CUGINI MARZORATI, a family-owned business dedicated to the revival of furniture artistry in classical European style. 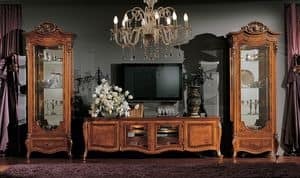 Started in 1960, CUGINI MARZORATI has succeeded in capturing in capturing the rich tradition of ancient techniques and furniture mastery for presentation in today�s marketplace. 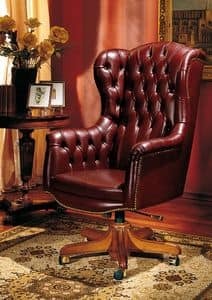 Now run by both the original founders and their sons, the company remains committed to the timeless fine design and functionality that enables furniture to be passed through generations. 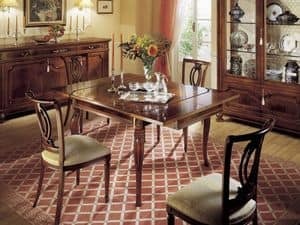 Our collections are hand-made using the same techniques that were used hundreds of years ago and all pieces are totally produced, finished and assembled in Italy in our 3000 squared meters building. 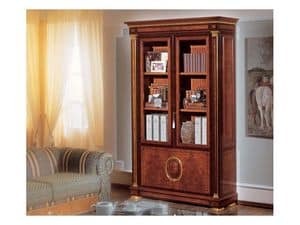 CUGINI MARZORATI search throughout the world for the highest-grade materials, superb veneers, refined burls, exotic rosewoods and ebony. 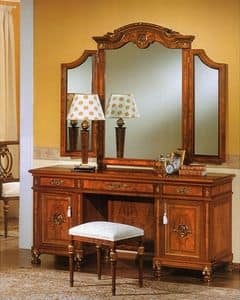 Highly skilled in carving, marquetry and the meticulous applications of gold leaf, artisans replicate age-old techniques to create near signature pieces preferred by high-end designers world wide. 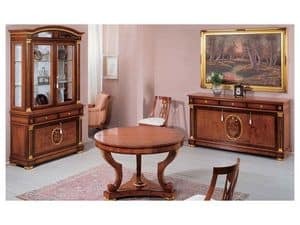 CUGINI MARZORATI�s mission is to use this treasured craftsmanship to achieve perfect products, hand-done, in the old tradition focusing on the particular nuances that set fine furniture apart from the ordinary. 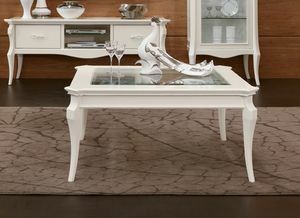 Artisans use only natural veneers and all carvings are hand-made. With so much emphasis on artistic expression and detailing, it�s hard to imagine that CUGINI MARZORATI would give equal attention to functionality. With a savvy technical department and top notch designers, all plans and details are carefully studied and their feasibility is meticulously controlled. CUGINI MARZORATI facilitates the relationship between technology, design, and artistry to produce state-of-the-art pieces that perform in the home from both high design and functional perspectives. CUGINI MARZORATI, thanks to its growth in the international marketplace, has concentrated its commercial efforts selecting the most serious retailers and distributors in the USA, Russia, Asia and Europe. 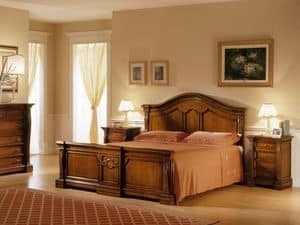 For over 50 years, CUGINI MARZORATI has been building an internationally recognized reputation as a premier manufacturer of fine furniture. 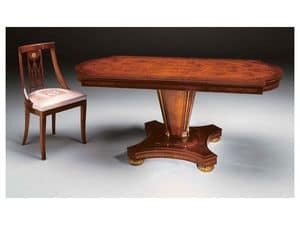 In the tradition of classic collections, from Louis XVI to the provocative nuances of Art Deco, CUGINI MARZORATI will continue to offer its distinguished line of masterpieces furniture to discerning patrons throughout the world.